Autonomous Solutions, Inc (ASI) is a world leader in original equipment manufacturer (OEM) independent mining vehicle automation solutions. Vehicle automation technologies such as ASI’s autonomous haulage system help mining organisations to dramatically improve productivity while simultaneously reducing costs. Through work with global mining majors, ASI has developed a highly scalable, client / server-based autonomous haulage system called Haulage AI, which allows one user to manage multiple haul trucks continuously tasked in a haulage system. This one-to-many relationship improves overall productivity by targeting and overcoming cost drivers such as unscheduled maintenance, vehicle under-utilisation, fuel inefficiencies, personnel issues (shift changes, human error, etc.) and vehicle or personnel safety incidents. Vehicle automation is one of the key innovations that leads to success for mining operations, but the significant investment in new robotic-enabled vehicles or retrofits of existing fleets can be prohibitively expensive. ASI’s teleoperation solutions allow mining companies to validate the effectiveness of robotic technology on a small number of vehicles without major upfront investments. Autonomous Solutions fits teleoperated dozers, excavators and haul trucks with vehicle robotics, which are controlled from a remote command station. One operator is able to control one vehicle with the assistance of joysticks, driver assistance software and cameras. Teleoperation enables mining companies to ease into or test automation technologies, as well as improve safety by removing operators from potentially hazardous environments. In April 2013, Bingham Canyon mine experienced a catastrophic landslide that poured nearly 165 million tonnes of debris down the side of the mine. The slide buried millions of dollars of equipment in the pit and stopped operations. In addition, the dangerous slope and unstable terrain made clean-up efforts difficult. Representatives of Kennecott Utah Copper Company / Rio Tinto approached ASI to develop a remote control solution that would allow remediation to commence on the most dangerous areas. Excavators equipped with ASI remote control technology enabled Kennecott operators to spearhead the clean-up by moving millions of tonnes of material on the most dangerous slopes from a safe distance. This is just one example of how remote control mining vehicles can help enhance safety in mines. Remote control and teleoperation equipment is an inexpensive entry point into mining vehicle automation. Mine managers must understand how changes made to improve short and long-term productivity affect the overall safety of both equipment and personnel. ASI’s automation system offers a unique upgrade path from teleoperated or remote controlled mining equipment to fully autonomous machinery. Teleoperated or remote control equipment represents a cost-effective entry point into automation for mining companies; however, they do not provide the significant productivity gains mining companies require. ASI’s mining clients can upgrade from their base remote control or teleoperated solutions to fully autonomous vehicles or haulage systems where significant economies of scale can be realised. This is accomplished through ASI’s universal robotic technology and client / server-based software system. The same technology that is used for a remote control system is also used for fully autonomous vehicles, making upgrades both possible and cost-effective. To learn more about how ASI’s autonomous mining technologies can benefit your organisation, please visit the company website or submit an enquiry form. 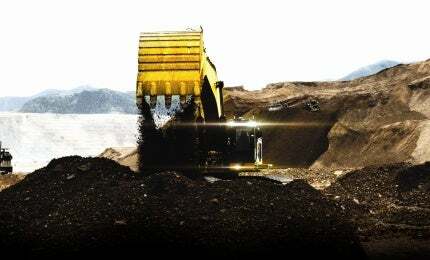 With more than 14 years of supplying autonomous mining technologies to clients in the mining, military, agriculture and automotive industries, ASI is uniquely equipped to provide proven robotic hardware and software systems that convert existing equipment into autonomous haul trucks, articulated dump trucks (ADT), dozers, or excavators. ASI is Anglo American’s partner for autonomous haulage. Volatility in the mining industry, caused by shrinking global demand and record low commodity prices, has left mining companies looking for ways to re-tool their organisations and processes to cope with what some are calling the 'new normal'. ASI systems are designed for modular, yet scalable deployment. ASI recognizes the daunting task of automating all aspects of surface or underground mines in one step. Yet, a piecemeal approach often introduces risk of deploying independent systems which are unable to integrate later into an overall mine system. The Mobius from ASI is one of the industry's most advanced unmanned control and command systems, allowing for safer, more productive unmanned vehicle operations. The Obstacle Detection and Avoidance System helps you to avoid potential hazards utilising advanced software and sensors. ASI produces an advanced vehicle automation kit, which is essentially a system of robotic hardware components that allows you to control a vehicle both manually and robotically. A video from ASI demonstrating their Mobius automated mining product. ASI uses AGILE engineering processes for both hardware and software development. Each development cycle produces a deliverable that can be demonstrated for our partners. The AGILE process encourages partner input during the demo phase ensuring we're moving toward their goals. ASI's 3D obstacle mapping system, Forecast, is a complete laser-based obstacle detection solution, not just a laser scanner. Its output is a full traversability map showing both positive and negative obstacles, suitable for input into any path plan solution for large unmanned vehicles. From communications and GPS, to live video and LiDar, built in sensors tell the vehicle and our Mobius software where it is and where it is going. Autonomous Solutions will be attending MINExpo 2016 in Las Vegas, Nevada, US, between 26-28 September. If the last year has taught the mining industry anything, it would be the sheer unpredictability of the sector. Commodity prices continued to dip toward unprecedented lows as the anticipated resurgence of commodities appears farther away than the industry had hoped. Miners are left to brace for more possible bad news in 2016. Ten of the world's largest consumer vehicle manufacturers combined at the end of last year to announce that automated emergency braking systems would be a standard feature in all new vehicle models produced by the companies. Autonomous Solutions, Inc (ASI) has been elected to Robotics Business Review (RBR) fifth annual RBR50 list for the second straight year. Robotics Business Review (RBR) has unveiled its fourth annual RBR50 list, naming Autonomous Solutions, Inc (ASI) as one of the most noteworthy companies in the global robotics industry for the second consecutive year. Representatives from Anglo American recently announced the company's partnership with Autonomous Solutions, Inc (ASI).